Astrology is the sky writing of the universe. 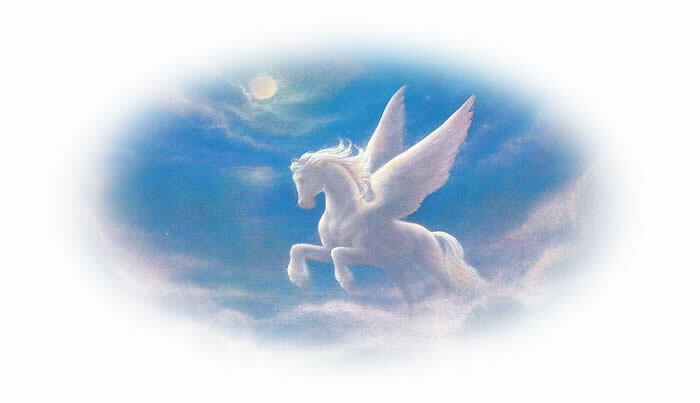 Since ancient times the sky has been watched for changes, patterns, and for astrology predictions. Reading 'sky writing' is a joyous venture because never is the sky in any one moment the same as any other moment. Each minute is new! There are patterns that repeat, and also new patterns, - just enough of the familiar and unfamiliar to make reading a wonder. Present times and the near future are particularly remarkable because of various cycles that end during the next 30 years, and because of the dramatic intersection of influences. These influences affect us all and some people more personally. Preparing for the future is a more pertinent and purposeful option for humanity at large than ever before. Please explore The Inside Story for future astrology predictions, astrology information, helpful hints on how to get the best from transits (current and future planetary positions) as you participate in creating your future. Also find out how to arrange a personal reading with astrologer, Jesie Len Gallagher, and find affordable Astrology Reports to buy here and have them mailed or just emailed to you! Whether astrology predictions relate to your mood of the day, propitious times to buy or sell, self understanding, or tell you more about the trends in current events, The Inside Story is a place to learn more and find something personal just for you. The Future Forecast Report, in particular, can give you a day to day interpretation of influences based on your personal birth information, emailed to you quickly or mailed in an attractive report. This report starts at only $9.95 and is an excellent sample of what astrology predictions mean for your life. There are many logical reasons why people suggest tremendous change, upheaval, enlightenment, and even destruction, in 2012. There is also some rationale to conclude that 2012 could mark the time when we pass through the 'star gate', wormhole, or 'null' point of hyperdimensional space, and why it may be considered a time of enlightenment. Ecliptic Plane of the Earth: the apparent path of the Sun around the Earth (angled at about 23 degrees to the Earth's equator). Precession of the Equinoxes: The Earth 'wobbles' on its axis much like a spinning top. And, like a spinning top, the vertical axis will draw a circle. Imagine this circle being drawn out into space and taking 26,000 years for a full circle. 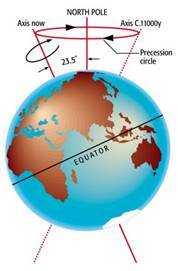 Consider again the (apparent) path of the Sun around the Earth making a 23 degree angle to the equator. As the axis of the Earth moves, so will this path. This means the Solstices will point into and out of the Galaxy also at different points, slowly preceding across the backdrop of the sky. Galactic Great Year: Imagine this circle being drawn out into space and taking 26,000 years for a full circle. Our hypersphere appears to be regulated by the periodic alignment of the Galactic Center with the Sun. Our Sun is our source of solar radiation. The Galactic Center is our source of cosmic radiation. Over a period of 26,000 years the Equinox Points move to different locations within the universe. Note, however, in terms of the Earth and Sun cycles, the Equinoxes continue to be mapped at 0 degrees of Cancer (beginning of summer) and Capricorn (beginning of winter). But where these Equinoxes point in the larger backdrop of the galaxy is a different story. The Solstices will point into and out of the Galaxy at different points as they as the earth wobbles and its axis rotates. It is this fact which is of significance now as the direction of the Winter Solstice Sun has been pointing into the center of the Galaxy and is getting closer and closer to exact. As stated before, our hypersphere appears to be regulated by the periodic alignment of the Galactic Center with the Sun. Opinions vary on exact timing. Some say December 21, 2012 marks the 26,000 year cycle ending and beginning. The ending of the 'Iron Age' and the beginning of the 'Golden Age' would likely involve a degree of transformation of dense matter into spirit. A hypersphere surrounds in effect every 3 dimensional body. The 3rd dimension being matter, the 4th being spirit. Energy flow in a hypersphere involves vortexes of energy that narrow where energy becomes denser, then becomes matter. Upon maximum density transmutation takes place, bringing matter to a non-dense state. In the same way, time becomes denser in the Iron Age (now) until transmutation takes place and changes matter to spirit and moves into a lighter, more expanded Golden Age. According to the Mayans we are at the end of the what may be called the Iron Age, in Hindu literature, called the Kali Yuga. The Galactic Winter Solstice of 2012 may be the turning point of the whole 'Great Year' (26,000 yrs), and the ending of an Age. As the Earth's axis begins to point to Aquarius (previously Pisces) and we enter the Age of Aquarius, the Earth's North Celestial Pole moves to the star Polaris. The intersection of the plane of our solar system (ecliptic) and the Galactic Plane with the Winter Solstice Sun lasts for about 30 years. The entrance into Aquarius actually takes a few hundred years and there is not agreement on the exact beginning. The factor that causes so much conjecture and mystery of this time, in my opinion, is the factor of Light; the type of light we are exposed to, the frequency of that light, and how it will transform our species. As we experience higher and faster frequencies of light everything moves so fast and changes so completely that we are pushed to respond in the moment. Some theorists state that these cosmic forces will 'ignite our hardware "junk"' DNA to respond with evolutionary appropriateness. Although the data is just being uncovered, researchers have found that the in the center of the Galaxy there is a giant black hole, about 2.5 million times as heavy as our Sun. It serves as a gravitational still point around which billions of stars and solar systems slowly rotate. Each year, at the Winter Solstice, our Sun has the rare station to be able to absorb the greatest amount of the radiation from the billions of stars surrounding the Galactic Center's black hole. This star light is said to be transmitting life giving energy and emitting informational transmissions to Earth. In recent years scientist have managed a clearer view of the Galactic Center previously clouded by too much dust. With the new technology they have been able to able to glimpse into the center that has been termed the 'city of light'. In 2012 eight cycles of Saturn will be completed since the US inception in 1776. Uranus: Seven 33 year cycles will be completed from the time of Uranus' discovery (also when the US won its independence) in 1781. 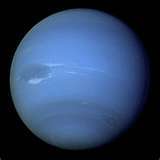 Uranus, ruling Aquarius has been called the harbinger of the New Age. What is the significance of a 33 yr cycle? In 33 years the Sun and Moon balance (the Moon completes 34 cycles as the Sun completes 33 cycles).They finish these at the same time. Hence a balance of the Solar/Lunar calendar systems. Four cycles of Uranus (84 yrs to go around the Sun) since its discovery will complete in 2117. For this reason 2117 is sometimes considering the beginning of the Aquarian Age. Uranus is strongly connected to the US, being the planet of independence and as the eighth cycle of 33 years completes in 2045, The US will have a new paradigm for leadership and service in the world. There is much material available concerning the possibilities of this change. Opinions are not scarce. I will mention just a few. After 2012 many positive developments can be expected in technology, medicine and healing, and especially in spiritual awareness. Things such as genetic engineering, artificial intelligence, quantum computing, inventions, and nano technology should flourish. The process of transmutation will be better understood, sources of unlimited energy developed, levitation and instantaneous healing are all great possibilities. The understanding of our universe and the interconnectedness of it should lead to a revolution in communication technologies, and environmental harmonization. Healing in particular could grow with leaps and bounds as light technologies advance. Coherent photon light can aid in body cell communication and the use of crystals and lasers can not only affect the physical body but also the subtle body (chakra system) there by affecting the healing process. Also on the horizon magnetic healing, radiatory healing, sound healing, sound and water technologies, leading to unlimited light and energy possibilities. As the interconnectedness of human minds unfolds, the limitations of the human mind can be overcome. The new ‘super human’ may be one of clairvoyance, telepathy, and human perception into after life, past life, and future life may expand mental universe into the broad universe. Possibilities of connection with non physical beings, celestial intelligences, and other earthly species may be part of this evolutionary leap. What is so great about Light? Light has a way of making things right. Exposed to light systems will heal, rebalance, and come into homeostasis. As the human system becomes viewed as a whole, efforts will ensue to teach everyone to master their thoughts and emotions and lead to greater emphasis on mind-body healing and biofeedback. Water (ocean)may hold the secret to energy problems. The conspiracy of scarcity will be debunked. A big hurdle at this juncture is the resistance to change in the centralized economic power structures and controls belonging to relatively few, and the powerful, large economic organizations and corporations. This is a power struggle now facing humanity which coincides with the Uranus/Pluto squares. Uranus and Pluto, though now within orb of influence, make their exact squares on 6/24/12, 9/12/12, then 5 more squares, the last one being on 3/16/15 (read more although the effects of this dynamic should endure until 2020). Many of the problems and challenges of our present time are related to the physical state and the density of our experience.